Olinka Green at the Southern Sector Rising press conference at Dallas City Hall on March 20. Photos courtesy of Olinka Green. A former youth educator turned Dallas environmental activist is finding her voice. Olinka Green first brought attention to environmental ills in southern Dallas last November, when she helped rouse 100 neighbors about the abandoned Superfund site in their midst, known as Lane Plating Works. The grassroots coalition faced off with surprised officials of the city, county and Environmental Protection Agency at a public information meeting at the local library, packing the room and startling the librarians. 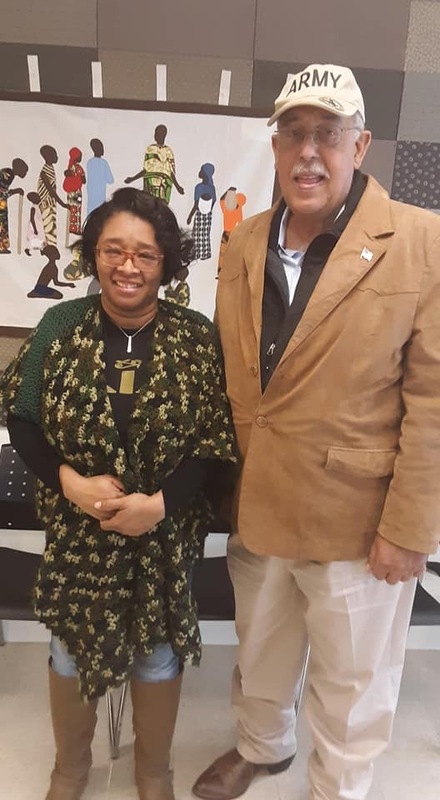 Olinka Green with Gen. Russel Honoré, during his visit to Dallas in February to discuss environmental justice issues. 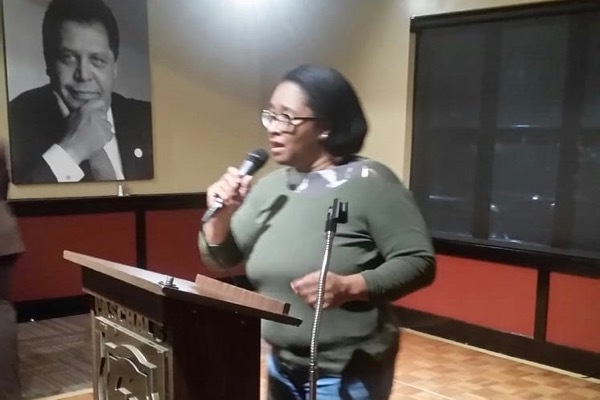 Since then, the 49-year-old has been honing her community organizing skills, learning from some big names in the national environmental justice scene. In February, Green co-led an Environmental Justice Network tour of south Dallas toxic sites, joined by no less than Joint Task Force Katrina commander Lt. Gen. Russel Honoré, now commanding his own Earth-defending Green Army. In early March, she was tagged by Texas Campaign for the Environment to join a trip, arranged by Center for Health, Environment and Justice, to lobby EPA in Washington, D.C., in a national Superfund effort led by CHEJ founder Lois Gibbs. Gibbs is the veteran leader of the 1970s campaign against the infamous Love Canal that prompted Congress to create the U. S. Superfund. 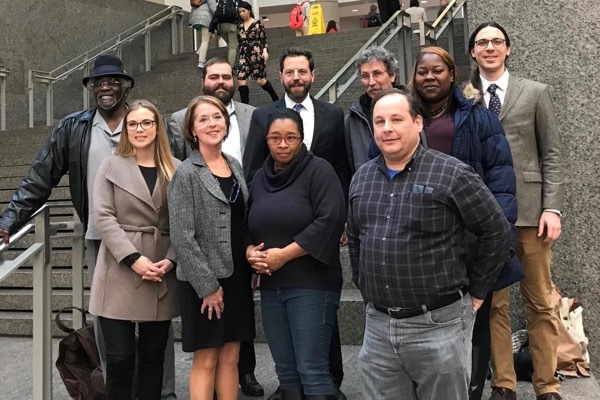 Olinka Green, front row, third from left, next to Center for Health, Environment and Justice founder Lois Gibbs, was part of the CHEJ group who met with EPA officials in DC earlier this month. Texas Campaign for the Environment DFW director Corey Troiani, back row, right. Courtesy of CHEJ. Olinka Green speaks at the Climate Reality Leadership training in Atlanta last week. On Sunday, Green came home with a large dose of that knowledge. She’d been to three days of Climate Reality Leadership training in Atlanta, with aspiring climate activists from around the world. Climate Reality Project, founded by former U. S. Vice President Al Gore, fielded instructors to help equip “everyday people…with the tools training and network to fight for solutions and drive change planet-wide,” as the group’s website says. Green told Gore’s example of the late-2010 heat wave that ravaged Russia’s crops, causing the government to halt grain exports and vaulting food prices to levels that raised public protest in Third World capitals. “I have more information now. I have tutorials, a big support system with the local chapter, my mentor Dr. Tony Perri and the international network,” she said smiling. Green excused herself to go tap into that network at the public library, via the Climate Reality web hub. “I feel stronger with more information to give people,” she said. That’s a good thing. There’s a lot to do. 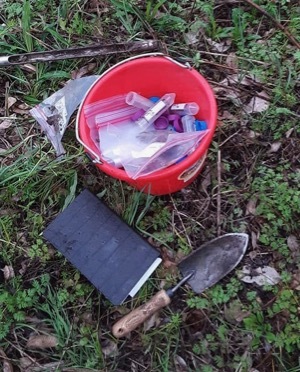 Olinka Green led Tarleton students around a creek near the Lane Plating Superfund site in March, where they took water and soil samples. Soil and water test results are due back on the Lane Plating Works Superfund site. Not from EPA, which had postponed testing scheduled for January until December - but from student scientists. Environmental research scientist Barbara Bellows of Tarleton State University, alerted by a GreenSourceDFW story, brought her students to test the site. The EPA has since accelerated their investigation to May. Green is also planning with her Highland Hills Community Action Committee to give a workshop on the effects of climate change. And she will be working to urge local EPA Region 6 administrators, who are required to form a community engagement group where there’s a Superfund site, to include people who are actually from the community. They’ve reportedly contacted Dallas council members from Districts 4, 7 and 8 that surround the site, but Green says no residents who live there have been contacted. Feeling stronger is good, when your hometown is a place where you’ve noticed you don’t seem to be listened to. With her new knowledge and confidence and an arm’s-length list of actions, Green sounds ready to be heard.